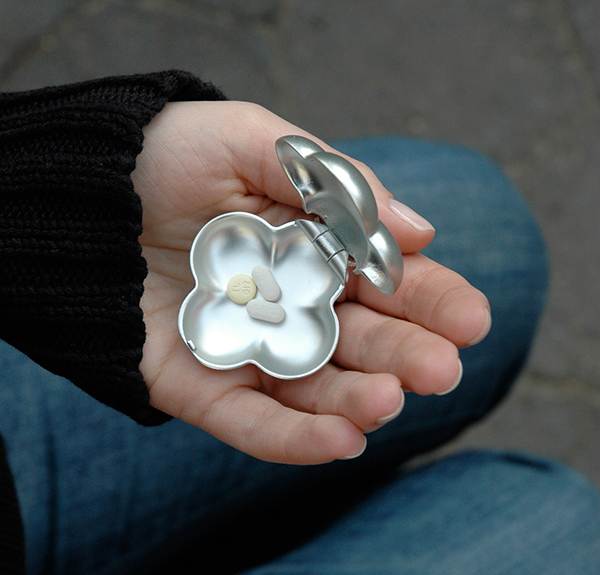 Beautiful & practical portable pill cases designed for women. 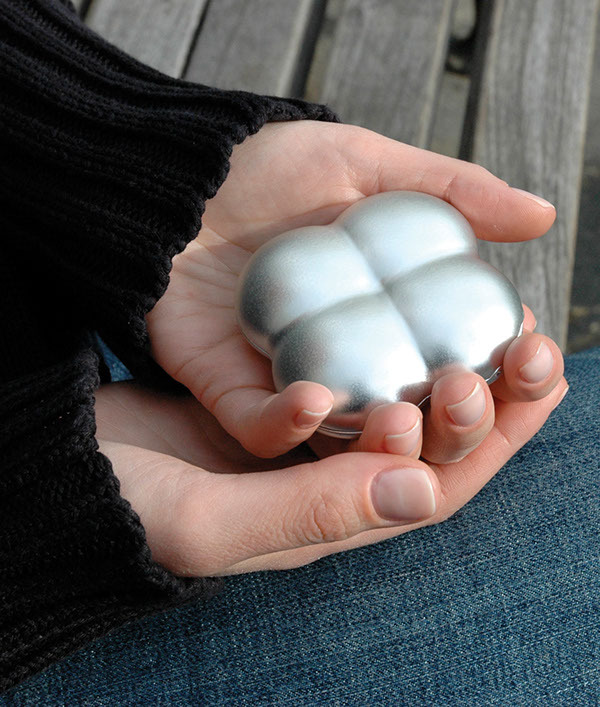 Inspired by a combination of organic forms and vintage sensibilities, Meqet is a distinctive line of portable pill cases designed especially for women. 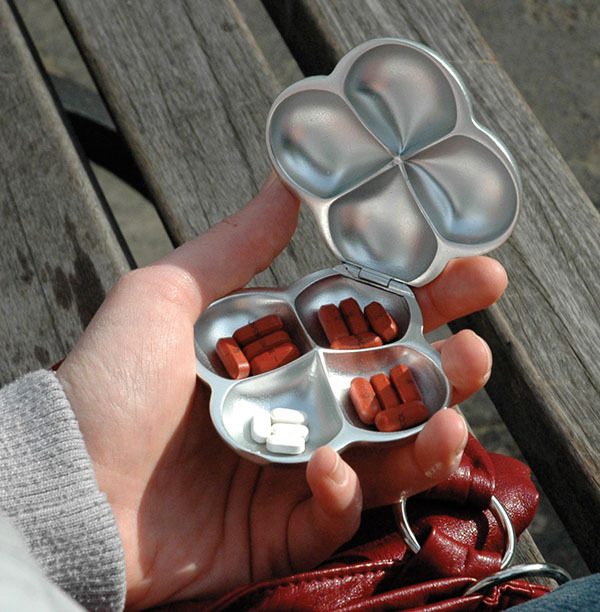 Both beautiful and practical, Meqet helps individuals feel more comfortable and confident about taking medications, vitamins or supplements by providing a stylish way to store and carry tablets. 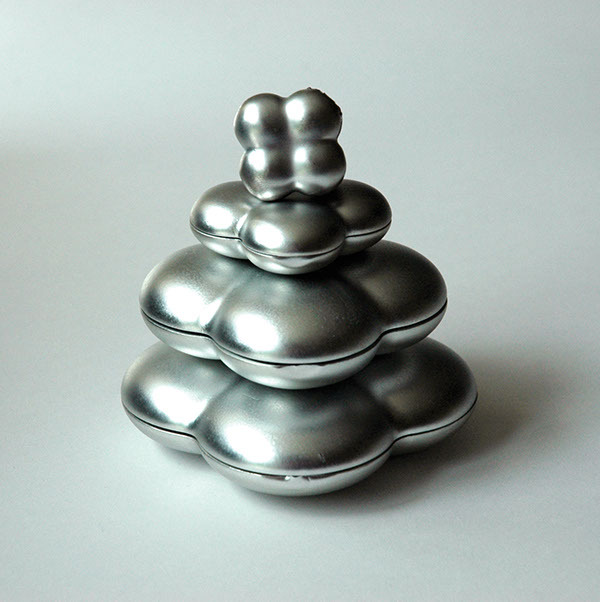 These pillboxes are fabricated out of plated silver, making them both precious and durable, and their interior is mostly hollow to reduce overall weight and material costs. 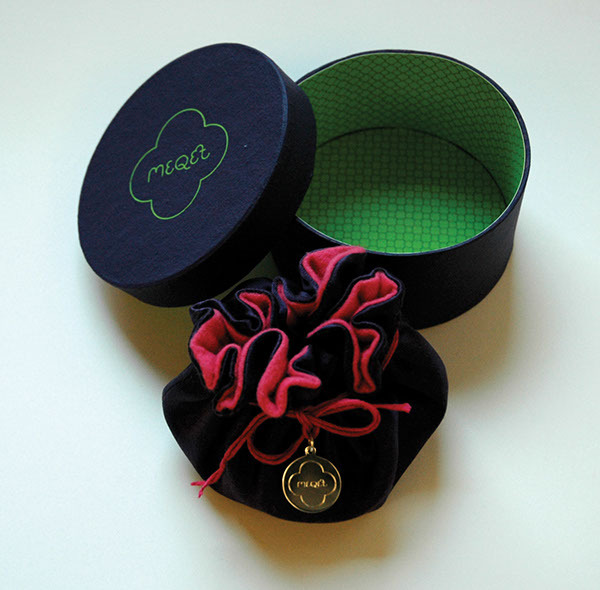 The name “Meqet” is adapted from the Egyptian term “Meket”, which translates as “protector”. 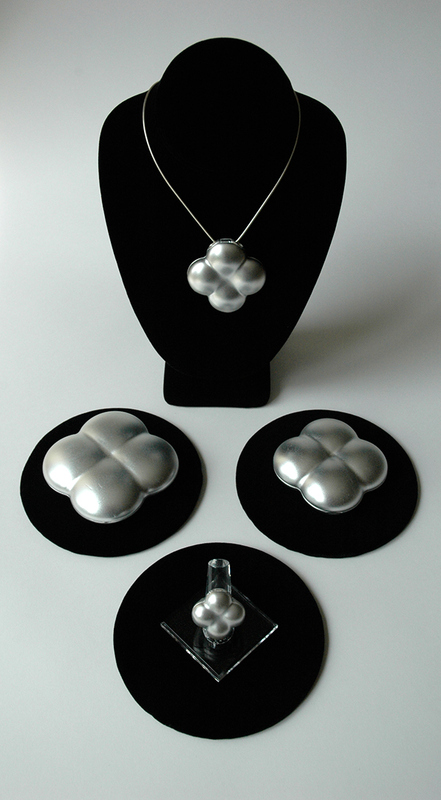 “Meket” was used to describe amulets worn by ancient Egyptians to ward off disease and bad spirits. 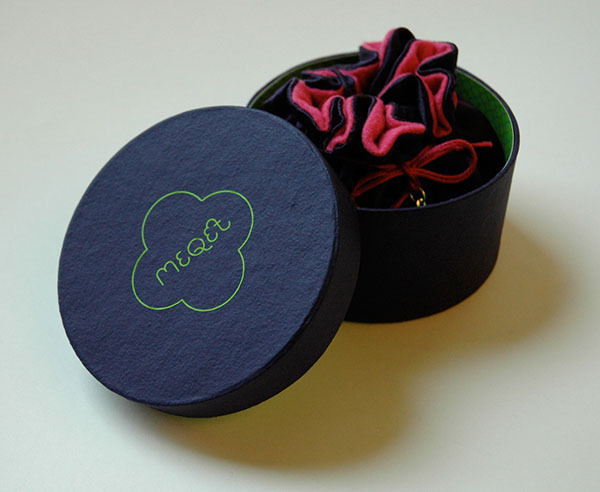 Meqet was my thesis project in the MFA Design program at School of Visual Arts. 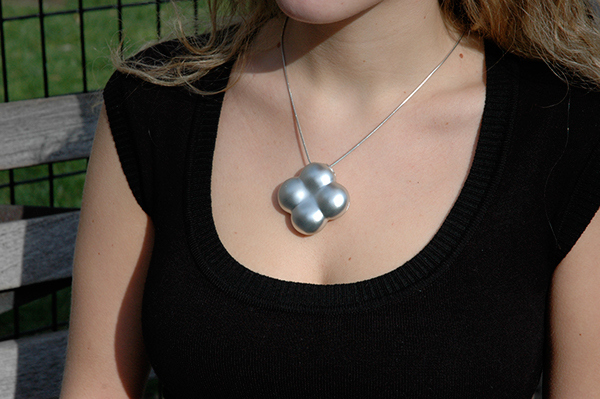 Watch a short video about the conception and production of this project. 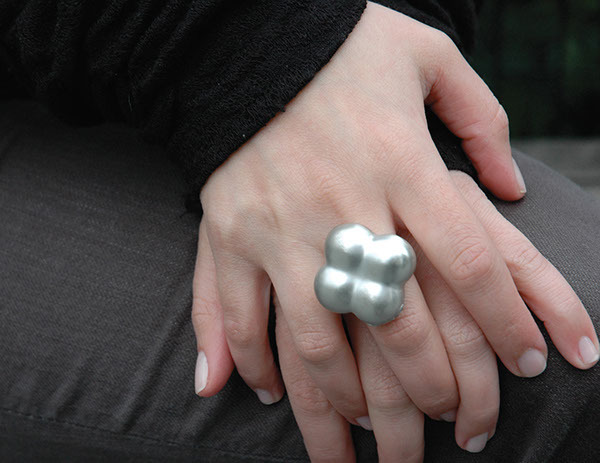 Concept, Art Direction & Design by Elana Dweck.